Armidale started out as a humble hamlet and is now one of the coolest and most creative districts in the New England. Our vibrant and diverse community offers delicious cuisines from around the world. Throughout Armidale, you’ll find restaurants, cafes, art galleries, gourmet markets, and many other spots that are off the beaten path. If this is your first time in Armidale, we recommend exploring the surrounding national parks in which the area is renowned for. We believe that dining needn’t be expensive to be fine. Armidale and its surrounding districts boast some of the best Vietnamese, Indian and traditional pub food in the New England, and all at affordable prices. Situated on the endge of Australia's Great Dividing Range, Armidale is surrounded by wonderful national parks and Waterfalls. 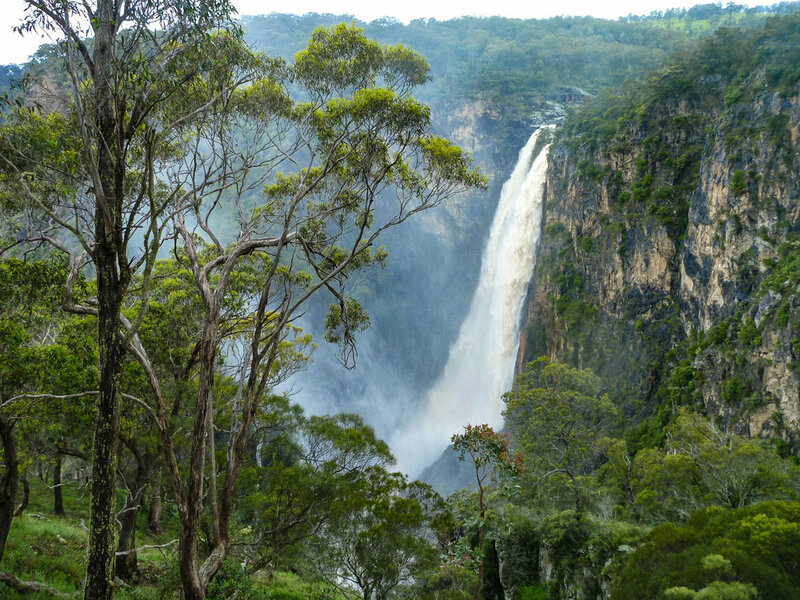 The most renowned spot is Armidale's very own Dangars Falls located in the Oxley Wild Rivers National Park located approximately 20 kilometres from town. Visit the local Tourist information centre in town for other suggestions and hot spots to visit. Armidale is home to many restaurants and exceptional cafes. The closest venue is the St Kilda Hotel and is accessible by $10 taxi, 25 min walk or 5 min drive. Famous for their locally sourced mouth watering steaks, head chef creates numerous items which will appeal to anyone. There will be pamphlets left for guests for food recommendations and things to do in the New England. The New England are proud connoisseurs of their locally sourced beef, with world famous wagyu over the mountain at Ebor, A number of butchers in Armidale stock local produce, which slowly sneak into a select few restaurants in. Head to the St Kilda Hotel to judge for yourself and try one of the locally sourced steaks. Of course if meat is not an option for you, do not fret! Dining around Armidale cater for those who prefer non-meat products. Feel free to ask your guest for some suggestions and you will be pointed in the right direction.